Malware and other applications may install persistent keyboard "event taps" to intercept your keystrokes. ReiKey can scan, detect, and monitor for such taps! The majority of macOS malware that contains keylogger logic (to capture keypresses) does so via CoreGraphics "event taps." 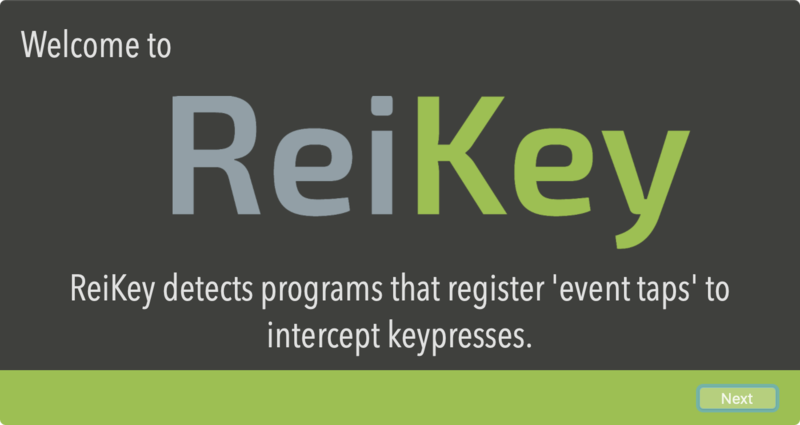 ReiKey was designed to detect such keyboard taps, alerting you anytime a new tap is installed. 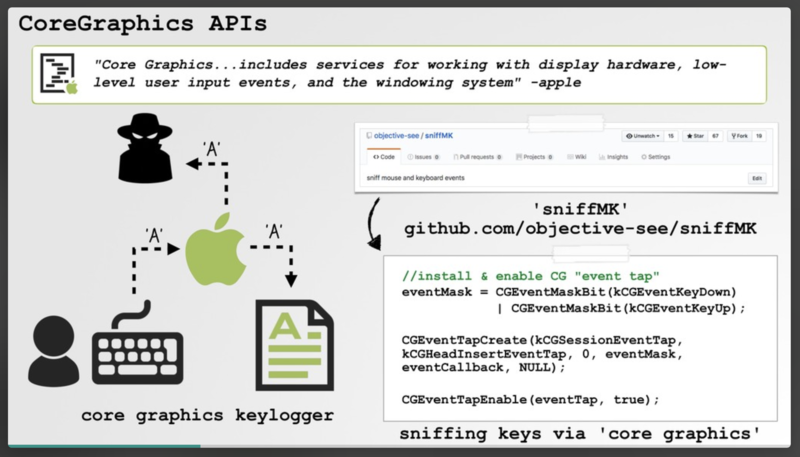 In other words its goal is generically detect (the most common type of) macOS keyloggers. 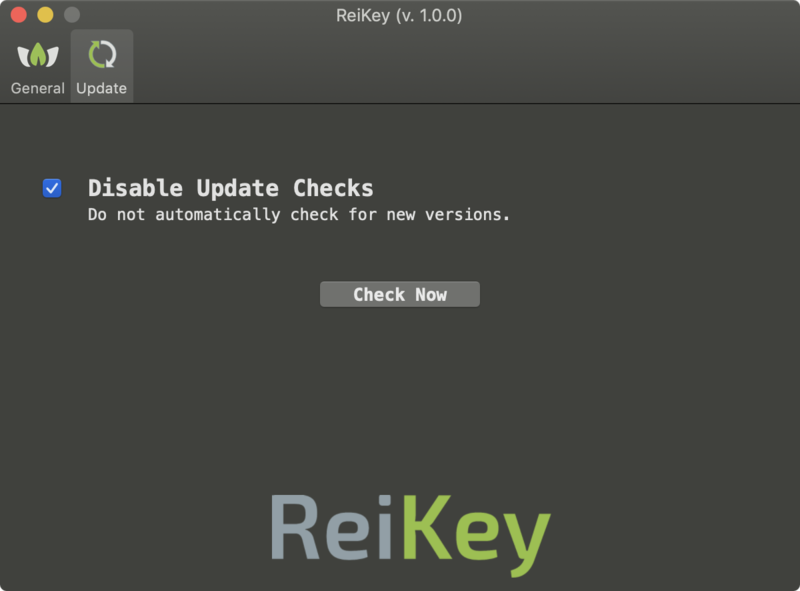 To install ReiKey, first download the zip archive containing the installer application. Depending on your browser, you may need to manually unzip the application by double-clicking on the zipped archive. 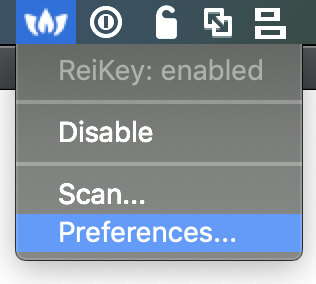 These screens will allow you to configure various aspects of ReiKey, such as how it starts, and whether or not it displays an icon in the status bar menu. These preferences can be changed later, via the application's preference pane. 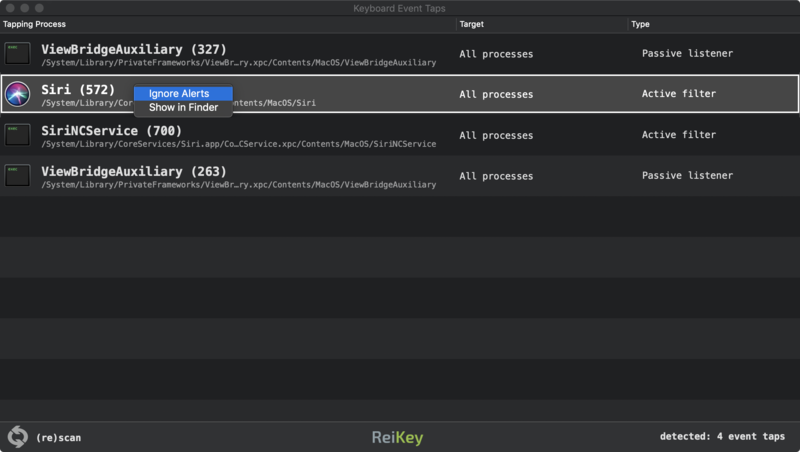 ReiKey has two main capabilities: scanning for existing keyboard "event taps", and alerting alerting whenever a new keyboard event tap is activated. Various system components and system applications install keyboard "event taps" (such as Siri), in order to filter and/or listen to keypresses for benign reasons. This is normal, and does not mean Apple is spying on you! the type of keyboard event tap; either "passive listener" or "active filter"
ReiKey will provide continual protection against keyloggers (that attempt to capture keystrokes via CoreGraphics "event taps."). Clicking on the "Details" button on the alert, will open the Scan window, with the newly installed keyboard "event tap" highlighted. ReiKey can also be run via the commandline, to scan a system for any processes that have installed keyboard "event tap". Q: Why does ReiKey show detect various Apple/macOS binaries? A: If the "Ignore Apple Programs" preference is not selected, various system components and system applications may generate alerts or show up in a scan. Not to fear! Apple components (e.g. Siri) sometimes install keyboard event taps in order to filter and/or listen to keypresses for benign reasons. 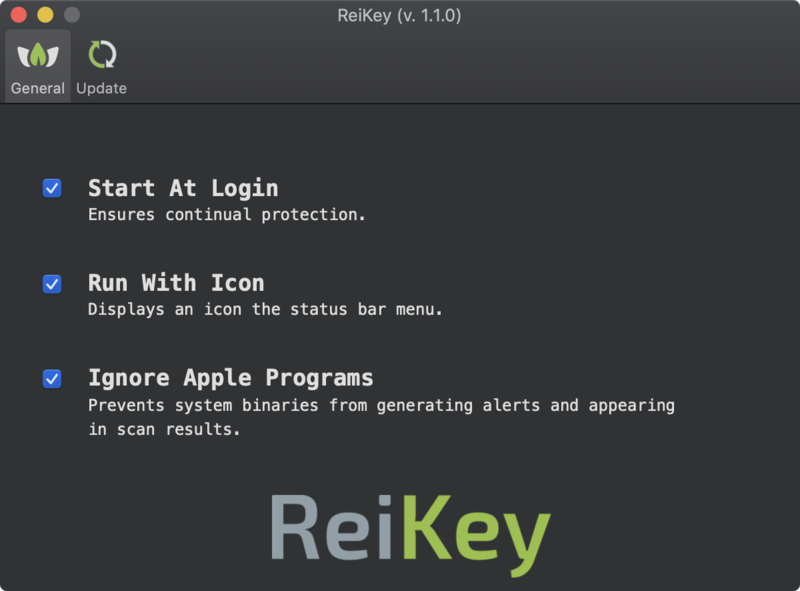 Q: Scan ReiKey detect all macOS keyloggers? A: No. 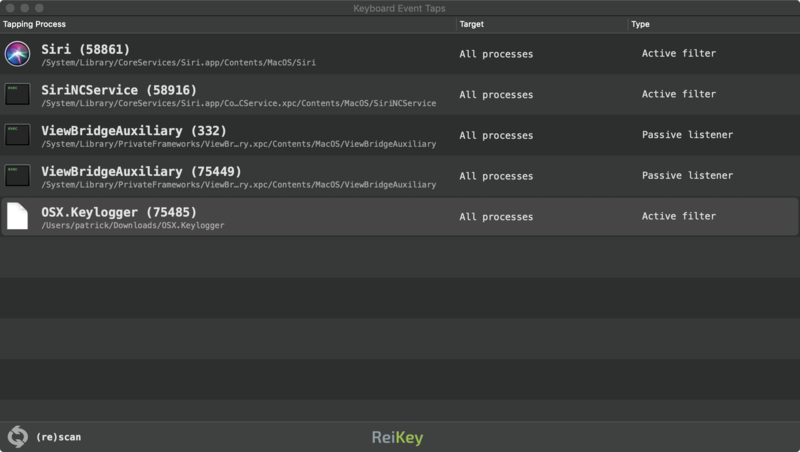 By design, ReiKey simply scans and alerts on programs that install CoreGraphics keyboard "event taps." 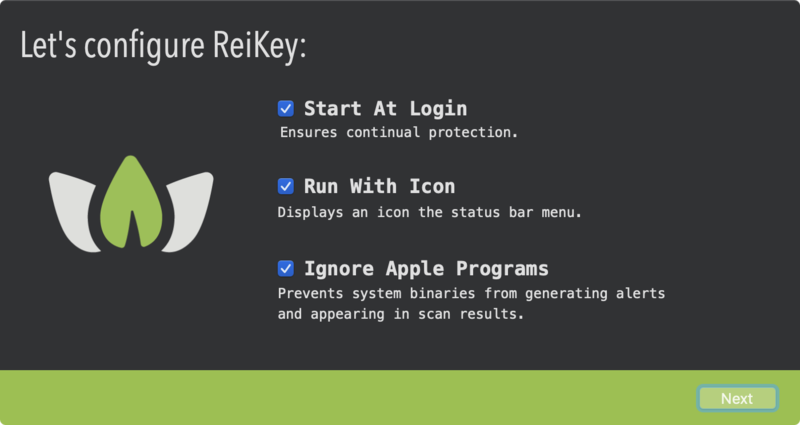 While this is the most common technique (ab)used by macOS keyloggers, there are other techniques that malware may use to capture keystrokes. Q: Why does ReiKey access the network? A: When ReiKey is started, it connects to Objective-See.com to check if there is a new version of the product. Specifically, it reads the file products.json, which contains the latest version number of ReiKey. No user or product information is collected nor transmitted. Note that you can disable this automated update check via the application's preferences. ReiKey also utilizes Sentry.io for crash detection which may generate network traffic related to (anonymized) error/crash reporting.